I am a person who stay away from nail art because of 2 reasons, first lack of expertise and second lack of time. And that is the reason whenever I require to adorn my nails I look for cool nailpaints that are easy to use yet can give cool nail designs. My recent love is MyGlamm Two Of Your Kind Long Lasting Gel Finish Nail Enamel Duo in Party Popper. Packaging: MyGlamm Two Of Your Kind Long Lasting Gel Finish Nail Enamel Duo in Party Popper comes in a white and gold cardboard packaging. The nail paints a stored in glass bottles that are jointly placed under a common Gold cap, but has individual caps too. This makes the look more gorgeous. 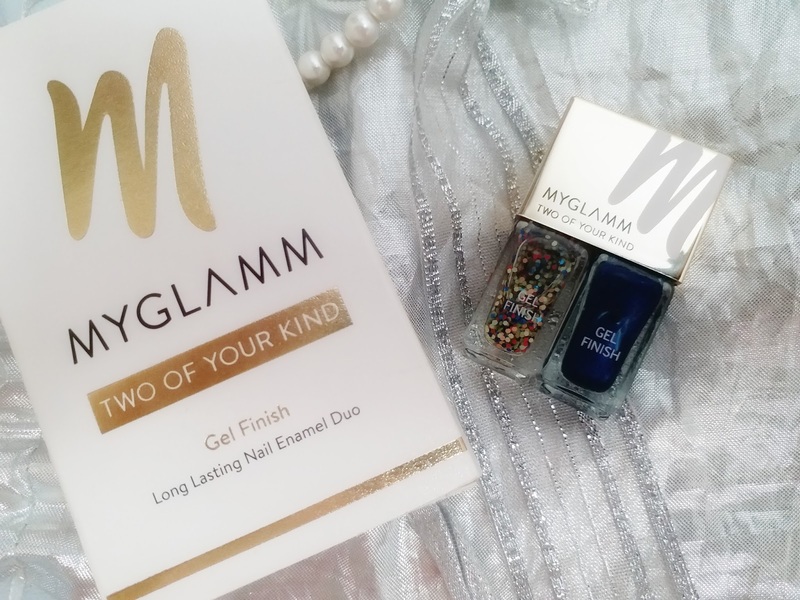 MyGlamm Two Of Your Kind Long Lasting Gel Finish Nail Enamel Duo comes in 12 beautiful shades. The nail paints are really pigmented and does not even need 2 coats to show. The colour stays for a really long time and gives a salon like manicured look to the nails. Its very shiny and the shine also stays quite strong for 3 days. The Party Popper is a really beautiful combination of 2 extremely attractive shades. 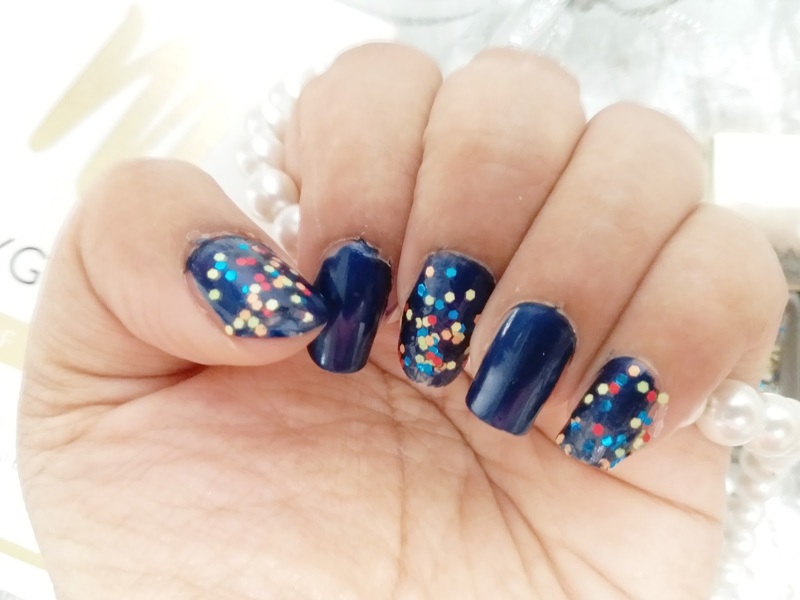 True Blue is super shiny and stunning while the Confetti reminds you of disco lights. 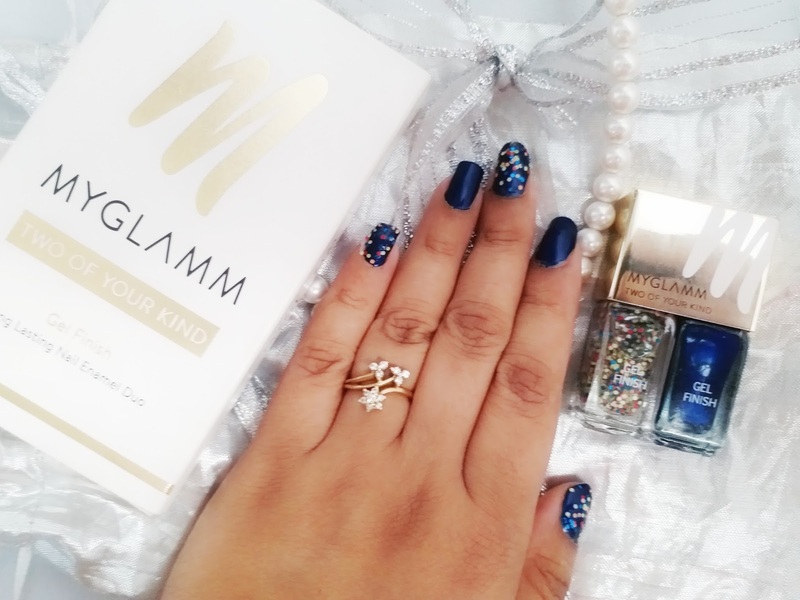 Quite rightfully it has been named as you just feel like hitting the dance floor the moment it brightens up your nails. Now for me a simple nail art is just good to go. However those who are experts can get multiple nail designs with this shade. 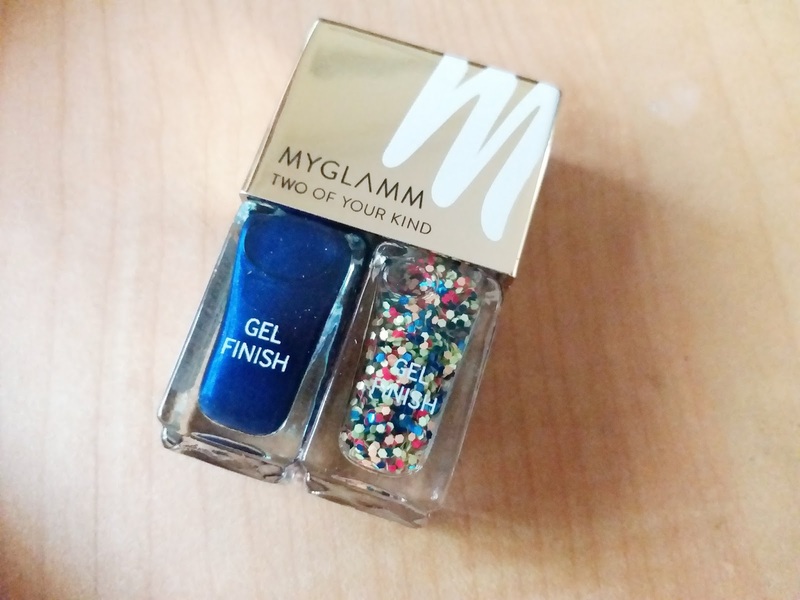 MyGlamm Two Of Your Kind Long Lasting Gel Finish Nail Enamel Duo in Party Popper is a beautiful party-ready nail colour that makes your nail gorgeous and gives a salon like done up touch to those.